HarborDev and Cleveland Clinic have collaborated once again to develop Innovations, an app that provides an invaluable resource to top tier medical professionals and researchers. The Cleveland Clinic Innovations App provides the latest news in commercialization technology, as well as information pertaining to the Annual Medical Innovation Summit conference – an event that features a different health related topic each year and an announcement of the following year’s Top 10 Medical Innovations. The app allows users to read details about the current and previous years’ Top 10s, view the upcoming agenda and venue map, and access information about speakers and sponsors directly from an iPhone or iPad. 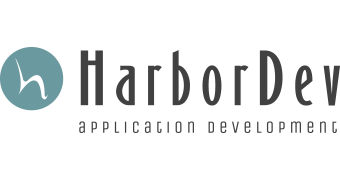 HarborDev is a mobile app development company based out of Clearwater, Florida that is driven by a talented team of app designers, developers, in-house QA engineers and mobile strategists. Together we build beautiful, responsive, useful software on iOS and Android for the consumer or the enterprise. Everything we do is driven by one goal: to provide quality mobile solutions that emphasize an unparalleled user experience. We understand the importance of listening to the needs of our clients, and we believe the best way to do business is to always deliver more than expected. 2019 © HarborDev LLC. All rights reserved.